Looking for a modern data visualization tool? Traditional BI tools, such as Tableau, Qlik, etc., are solutions for analysts that provide rearview mirror intelligence on what has happened. 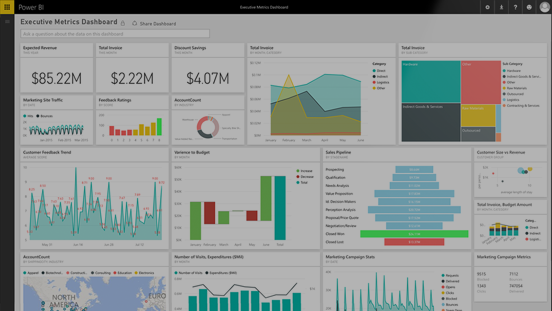 In contrast, Power BI is business analytics service that can empower everyone—not just data specialists—with real- time insight to what is happening. With Power BI, it takes five minutes to start creating personalized dashboards to find answers to the most important questions for your business. Rather than using traditional BI tools like Tableau or Qlik where you’re limited to historical analysis, Power BI lets you access real-time information to identify trends early. That way, you can head off potential issues and improve performance sooner rather than later. With advanced analytics integration through R scripts and visuals, Microsoft Azure Machine Learning, and Azure Stream Analytics, use your data to predict outcomes for your business. Predictive intelligence can help you take proactive action to course correct and stay on the right path to achieve your goals. No need to write code or be a stats guru to get actionable insights. Power BI Q&A allows you to ask questions and get super-fast answers in the form of charts and graphs ready for pinning to your dashboards. Through deep integration with Windows 10, Cortana makes BI as easy as search, right on your desktop. Auto search datasets for hidden insights in seconds with Quick Insights: correlations, outliers, seasonality, change points in trends, and major factors, from specific dashboard tiles and its related data. Power BI is not limited to “what’s in the box”. With Custom visuals, Power BI allows you to have any visualization you can imagine. 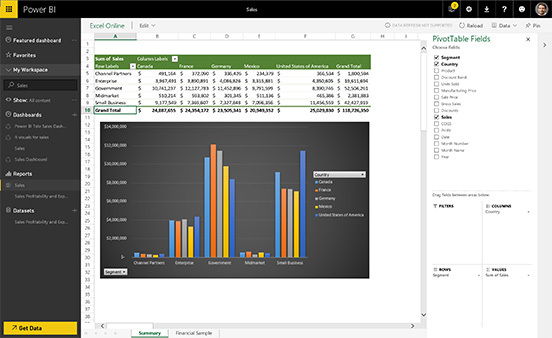 Since the beginning, Power BI has been engineered so it can be easily used with Excel, Office 365, Azure, and SQL Server. Upload Excel reports to Power BI and pin items to a Power BI dashboard or use them as a data source. Take advantage of your current investments while empowering your people to find new actionable insights with familiar tools. Connect to multiple data sources with Power BI. 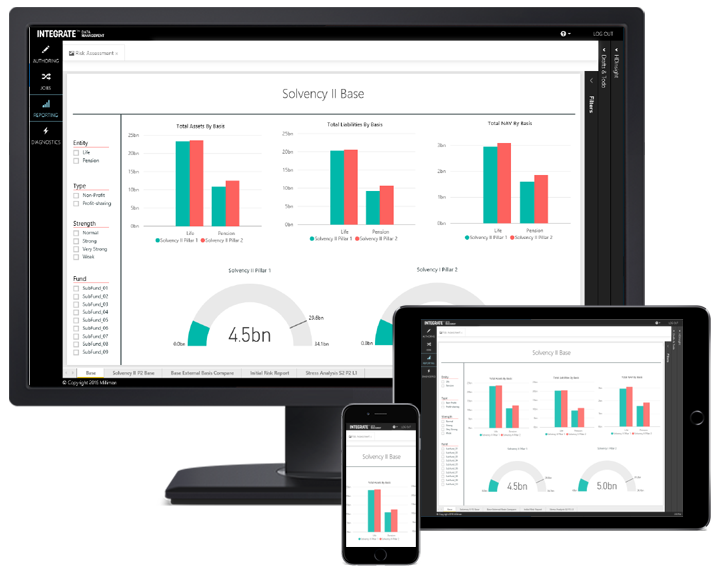 Whether your data lives in a cloud service such as Marketo or Salesforce, or on-premises, Power BI enables you to connect, clean, shape, model, and visualize it with live reports and dashboards. Get started in minutes with Content Packs, pre-built dashboards, and reports for popular services. Because Power BI is cloud-based, you can add or remove users anytime. Plus, it offers 99.9 percent uptime. You get scalable, highly secure, and reliable enterprise-grade IT with optimized costs that are based on the number of users and their specific data needs. You can also reduce your IT investment in your extract-transform-load infrastructure through built-in connectivity to a variety of data sources, both in the cloud and on-premises. And since Power BI is designed as an integral part of Microsoft enterprise offerings, you can get more out of your Azure and Office 365 investments and easily manage access using groups and row-level security. What’s more, Power BI is open and extensible. It’s developer friendly and can be embedded into applications and portals. With Power BI, you get nonstop innovation to help you visualize and analyze data with greater speed, efficiency, and understanding. Our vibrant user community provides continuous feedback that helps guide weekly and monthly releases of Power BI—so your analytics tools just keep getting better and better. Because Power BI is cloud-based, you get the updates automatically—no software upgrades to worry about. 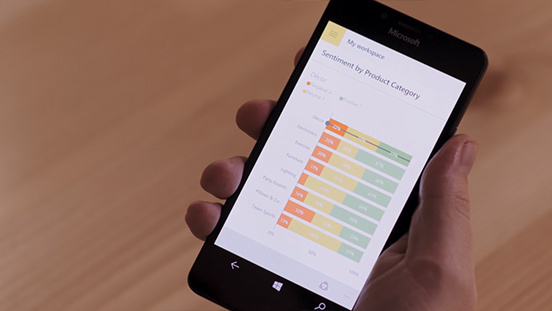 And Power BI offers an open strategy for users to create and share custom visualizations such as SandDance (a Microsoft Research data visualization project). PC Magazine awarded Power BI its Editor’s Choice award in “The Best Self-Service Business Intelligence (BI) Tools of 2016” article. As of March 2016, 5 million subscribers and 200,000 organizations worldwide use Power BI. Unlike other interactive data visualization tools.